Carpet positively affects indoor air quality (IAQ) and is the lowest emitter of volatile organic compounds (VOCs) of common flooring choices. 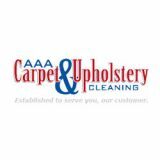 Carpet manufacturers were the first in the flooring industry to thoroughly study their products for indoor air quality effects. CRI worked with the Environmental Protection Agency (EPA), the Consumer Product Safety Commission (CPSC), academic institutions and independent laboratories to evaluate carpet’s role in indoor environment. In 1992, CRI launched its Green Label program that sets limits for how much VOCs from carpet, adhesives and cushion can be released into the air. Since then, the program has voluntary raised IAQ standards four times by requiring even lower emission levels and increasing the number of compounds studied. As a result, carpet has become the lowest VOC-emitting floor covering and one of the lowest-emitting products used in new construction and renovation – much lower than products such as paint. The already low VOC emission of new carpet drops significantly after 24 hours—even sooner with fresh air ventilation. CRI set the standard again when it worked with California's Sustainable Building Task Force and the Department of Health to establish Green Label Plus, which certifies carpet and adhesives. Green Label Plus meets, and even exceeds, the low emitting product testing protocols used by the Collaborative for High Performance Schools (CHPS). Carpets also play the role of an air filter: they trap dust, pollen and other particles, taking them out of the breathing zone until they can be removed easily by vacuuming.1 Choose vacuums that bear the CRI Green Label for assurance of effective soil removal and good air quality. Carpets also improve the indoor environment because they are easier on the feet, help prevent slips and cushion falls, reduce noise levels and have insulating properties. 1 Lang, Susan S. 2001. “Carpets in Schools Don’t Compromise Air Quality . Human Ecology quality. (Spring) 29: 24.